TNDC is a business corporation owned by the people of the Tahltan Nation through the Tahltan Band, Iskut Band and the Tahltan Central Government (its shareholders). 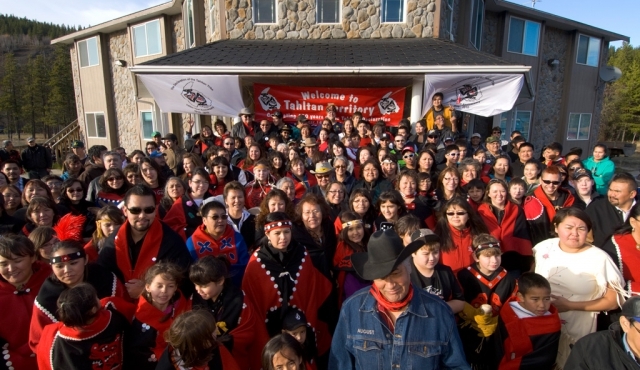 The Tahltan Nation includes on and off-reserve Tahltans living in Telegraph Creek, Dease Lake and Iskut. About one-third of the Tahltan Nation lives in Tahltan territory, though not all are living on reserve lands, and more than 3,000 people living across the country. Located in Northwestern BC, Tahltan traditional territory encompasses 11 percent of British Columbia and the Tahltan Nation holds inherent Aboriginal title, rights and interests of the Tahltan Territory. The Tahltan people are entrepreneurial by nature and the Nation supports sustainable and responsible business development that respects Tahltan traditional values and benefits all parties. Covering 93,500 square kilometres (36,100 square miles), the north/western border of Tahltan traditional territory runs parallel to the Alaskan/Canadian border, and includes part of Yukon. The south/eastern border includes the upper Nass tributaries, western half of the Stikine plateau, and the sacred headwaters of the Stikine, Nass and Skeena rivers. Tahltan territory is rich in natural resources including minerals (gold, silver and copper), which has earned it the reputation of The Golden Triangle, as well as salmon, forests and wildlife. The abundance of these natural resources has resulted in overwhelming interest by industry in developing projects to extract the resources.